His Greatest Case! 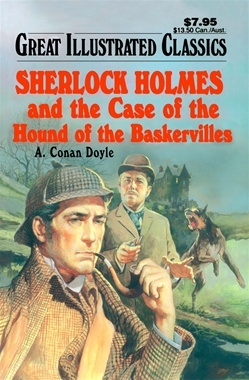 The curse of a supernatural hound brings Sherlock Holmes and Dr. Watson to England's gloomy moor country to solve Sir Charles Baskerville's murder. Will they find the murderer in time to prevent another killing? And what strange secrets are the people in and around Baskerville Hall trying to hide? Follow the greatest detective of all time as he solves this baffling case!